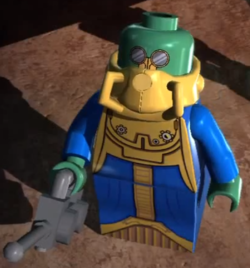 Wat Tambor is a playable character in LEGO Star Wars III: The Clone Wars. His abilities are to grapple and shoot with a blaster. He is a separatist. In the game he can be unlocked with the code ZP8XVH. Wat Tambor in the DS Version. Wat Tambor's DS Character Icon.